You'll find plenty of places to visit near Brisbane: Warner Bros. Movie World (in Oxenford), Surfers Paradise (SkyPoint Observation Deck, Infinity Attraction, & more) and Sea World Theme Park (in Main Beach). Pack the 7th (Fri) with family-friendly diversions at Dreamworld. Next up on the itinerary: let the kids burn off some steam at South Bank Parklands, admire the natural beauty at City Botanic Gardens, meet the residents at Australia Zoo, and look for all kinds of wild species at Lone Pine Koala Sanctuary. 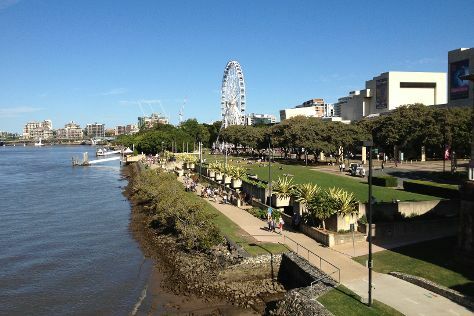 To see photos, ratings, more things to do, and tourist information, read Brisbane online tour planner . If you are flying in from India, the closest major airports are Brisbane International Airport and Gold Coast Airport. In June, daily temperatures in Brisbane can reach 24°C, while at night they dip to 13°C. Finish your sightseeing early on the 8th (Sat) to allow enough time to travel back home.